(Location cited as NO 225 401). 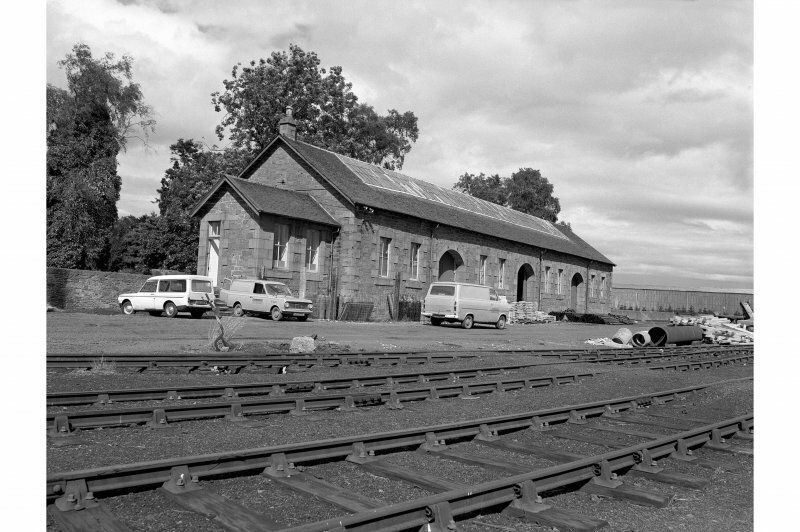 Station, opened 1848 by the Scottish Midland Junction. Mainly demolished, but the single-storey wooden booking office survives, as does a particularly fine masonry goods shed. 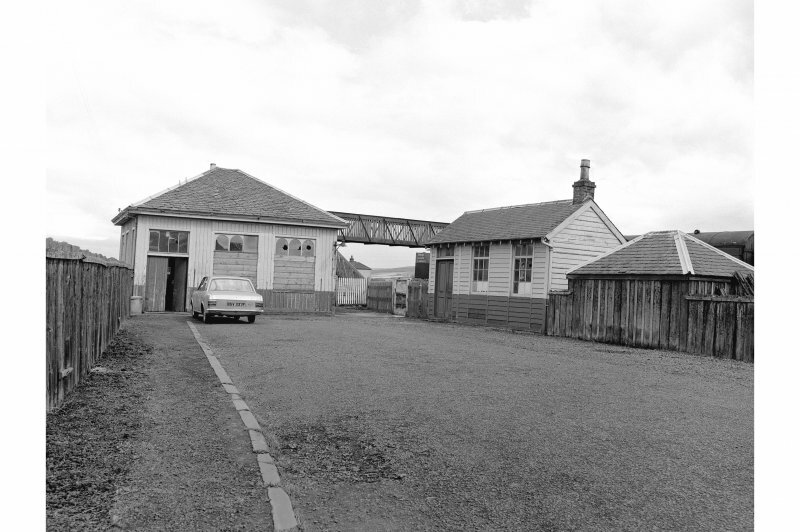 This intermediate station on the Perth - Kinnaber Junction portion of the Glasgow - Kinnaber Junction 'Strathmore line' of the former Caledonian Railway was also (until 10 January 1955) the junction station for that company's line to Blairgowrie. It was first opened by the Newtyle and Coupar Angusl Rly in February 1837 but was closed (by the Dundee and Perth Rly) in November 1847. It was reopened by the latter company on 2 August 1848, grouped into the London, Midland and Scottish Railway, and closed to regular passenger traffic (with the Stanley Junction - Kinnaber Junction portion of the line) on 4 September 1967.